As a content marketer, you spend a lot of time and money creating content that generates leads. But what happens after you get that hard-earned lead? I recently worked on some copy for a client and needed to download a report to gather background information for the project. Just minutes later, I received a call from the software company’s sales rep trying to sell me their product. It quickly became apparent that despite my situation as an external resource, the rep wasn’t willing lose any opportunity he could squeeze from the call. He tried to push me to introduce him to my client so he could pitch to them instead! Unfortunately, bad sales follow up calls are far too common. MarketingSherpa found that 61% of B2B marketers send all leads directly to sales, but only 27% of these leads are qualified. Just because someone downloads a piece of content doesn’t mean they are interested in what you have to sell. In fact, many seasoned IT pros avoid their phones immediately after downloading a whitepaper! B2B buyers are becoming more self-reliant. They want to do their own research – on their own timeline – and make buying decisions when they are ready. Gartner Research predicts that by 2020, customers will manage 85% of their relationships with companies without talking to a human. Since B2B buying cycles can last longer than a year, marketing automation makes sense. Businesses that use marketing automation to nurture prospects experience a 451% increase in qualified leads. Part of the challenge of marketing automation is that B2B marketers target an average of four different audiences. To be effective, your automation sequences must guide each audience through a buying process that is unique to them. For many content marketers, marketing automation is still an area for improvement. Only 42% of companies adopt marketing automation and just 9% fully utilize their technologies. 1. Identify where your download falls in the buying cycle. To strategically manage your buyer’s experience, you first must identify where they are and if they have an immediate need. What are your goals for the download? Which buyer persona is your download for? What pain, challenge or goal is this person trying to address? What stage in the buying cycle are they in? What is the next step for your buyer? For example, are they moving to a new stage in the buyer journey? 2. Segment your buyers into lists. In Demand Gen Report’s B2B Buyer Behavior Survey, 69% of B2B buyers state the single most influential aspect of any vendor’s website is “relevant content that speaks directly to my company”. 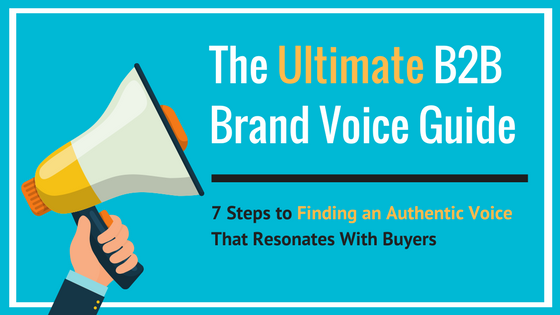 Personalization is key to creating a strong relationship with your buyer. According to the survey, B2B buyers select vendors that deliver a mix of content that is appropriate for each stage of their buying process. Segmentation allows you to personalize your prospects’ experience, as you can divide your list into manageable segments based on commonalities and stages in buying cycle. When someone is in the early stages of the buying cycle, they likely aren’t ready to speak with your sales reps. You need to warm them up to your company by establishing credibility and trust. The Demand Gen Report 2016 B2B Buyer’s Survey found that 97% of respondents choose a vendor because they demonstrated a stronger knowledge of the solution area and business landscape than their competitors. Until someone buys, you must assume they are a skeptic. Your job as a marketer is to charm your buyers by educating and entertaining them – while helping them see your offer as the solution to their challenges and the way to reach their goals. Gets them to commit to your reading your content. You can achieve this through self-segmentation based on their goals or interests. Provides links to your most popular resources on topics relevant to their download. Builds a connection. You can do this by sharing personal or customer stories. Tells them what to expect from future emails and content. 4. Nurture your relationships with personalized content. Eccolo Media found that 48% of B2B buyers consume two to five pieces of content before they make a purchasing decision. Meanwhile, TechTarget found that 65% of IT buyers require at least four pieces of content to make a vendor shortlist. While you want to send prospects a variety of content, the types of content that B2B buyers are the most likely to consume in each stage of the buying cycle are white papers and case studies. After your first email sequence, send subscribers content that is personalized for their segment. You can also send them top-performing content, such as white papers and case studies. Now that you’ve sent your prospects and introduction email series and personalized content, you’re ready to move to the next step. By this point, many of your prospects are warm enough to learn more about how you can help them. Just don’t blow it with a hard sell or pushy phone call. Instead, test whether a prospect is ready to receive information about your products or services. In your emails, you can add a short P.S. with a link to a product demo, webinar or evaluation. You can segment anyone who clicks this link into a later stage of your sales. Or, if appropriate, a sales rep can reach out to them. After someone downloads your resource, you can also send them to a thank you page that includes a landing page for more product specific information. Just make sure the landing page is personalized to the download they just completed. As you can see, you don’t need to rely on pushy sales calls to connect with prospects after they download your content. When you send leads personalized and relevant content, you can build engagement and trust in your brand. 1. Check out 19 Quick and Easy Lead Magnets That Attract B2B Buyers. 2. Click to share this article on LinkedIn. Sharing quality content increases your visibility and credibility with your existing contacts, creating conversations and potentially new business. 3. Subscribe to the Fresh Marketing Blog to receive weekly B2B marketing tips, trends and best practices.